Our specials boards are updated daily. 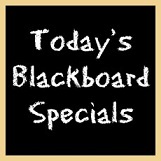 So be sure to check out the blackboards located around the pub. Call 01684 592758 to book or enquire.